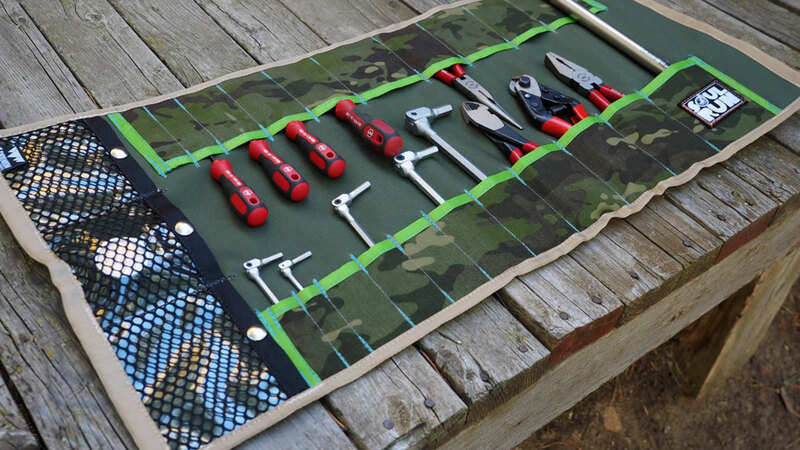 The Soulrun Roy Roll is our second largest tool roll made for the traveling wrench. 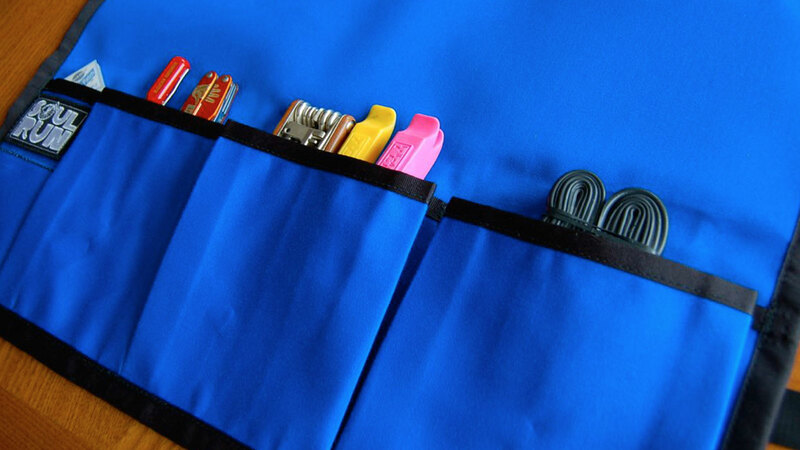 With input from pro mechanics in the pits we made a tool roll designed too keep everything you need with you. 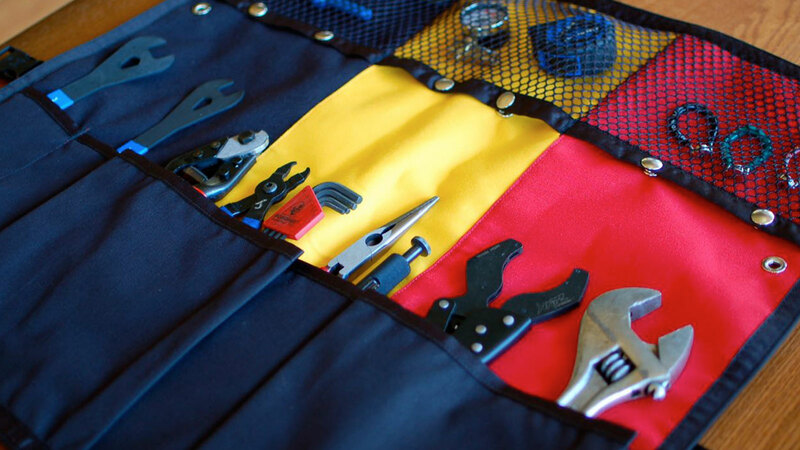 We designed this with input from a legendary pro wrench Matt Roy to carry “everything you need and nothing you don’t.” It has room for all the tools you will need for a road trip and more. Made out of a variety different burly fabrics including: sparkle upholstery vinyl, Cordura and Sunbrella which are all very tough and durable fabrics. The Roy roll is also fully lined with 1000 weight Cordura fabric has nylon webbing, two quick release closures and a bomber handle. 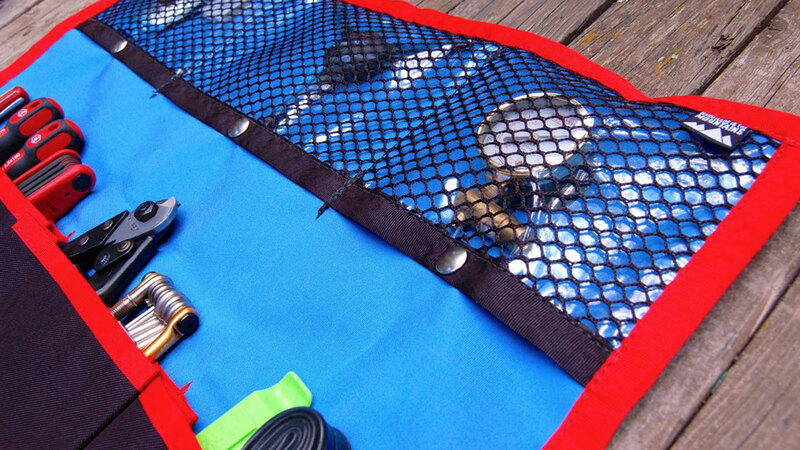 The Roy Roll includes three clear vinyl/mesh pockets at the top for smaller tools and tons of pockets running the length of the roll. Dimensions – 14.5 (W) x 31.5 (H) Designed to fit on a skinny table. Don’t just listen to us though, check out what Matt Roy says. These are hand made by Laura and are built to last. 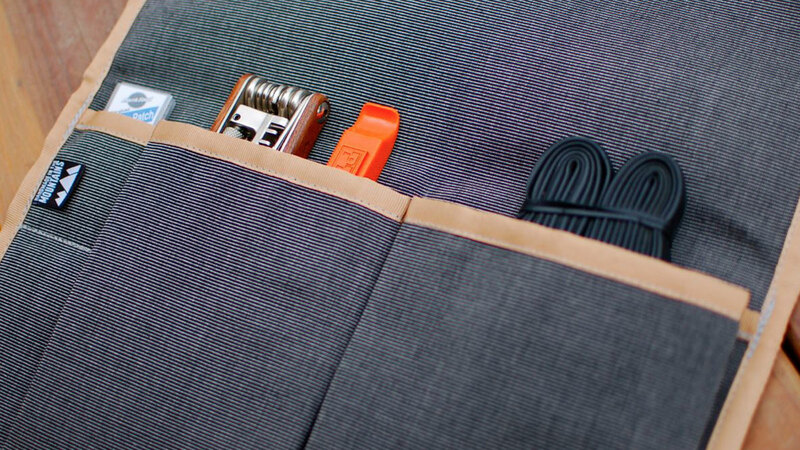 The Soulrun Roy Tool Roll is currently available through our Etsy Store.